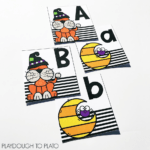 Learning alphabet letters is an important skill for young learners. 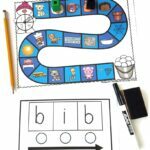 This Race to School alphabet game is a fun and engaging way for children to practice both uppercase and lowercase letters. 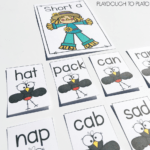 It’s a great game to use at the beginning of the school year with preschool or kindergarten students. I just printed the game boards for my students on white card stock to make them sturdy. Although I didn’t do it, the boards can be laminated or placed in a plastic sleeve for extra durability. 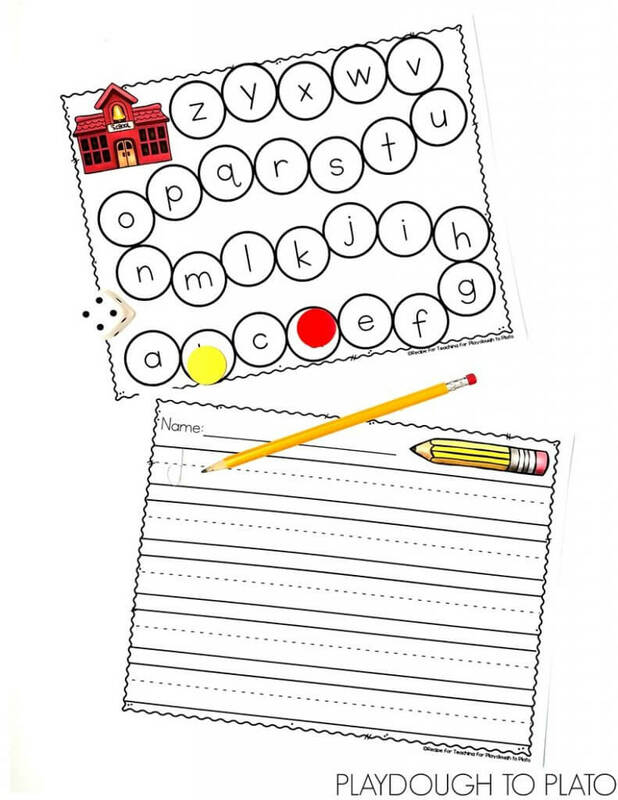 There’s a recording page included in the download (below) that you can use with students who are ready to practice writing letters as they play the game. 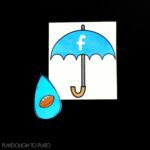 It’s a great challenge for those kids who can use it! I like to introduce games to my students by playing teacher vs. the class on our document camera. A volunteer and I placed our playing pieces right before the letter “A” at the bottom of the board. Each time we landed on a letter space, we said the name of the letter out loud. We continued taking turns rolling the die and saying the letter name until one of use reached the school. This game is great to use with small reading groups, as partner work, or at a literacy center too. It could also be printed and sent home for students to play at home with their families. There are so many possibilities! Depending on the needs of the students in your classroom, this game can be easily differentiated for your students. Instead of having students say the letter name, have students say the sound that the letter makes. If students are able to recognize the letter and the letter sound, have children think of a word that begins with that letter. For example, if students land on W, they would say the name of the letter, the sound for W, and then they could say “wagon” as a word that begins with W.
And for students who are ready, they could practice writing the letters that they land on using the lined paper. 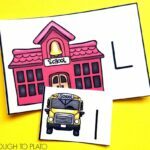 Ready for some Race to School alphabet game fun?! 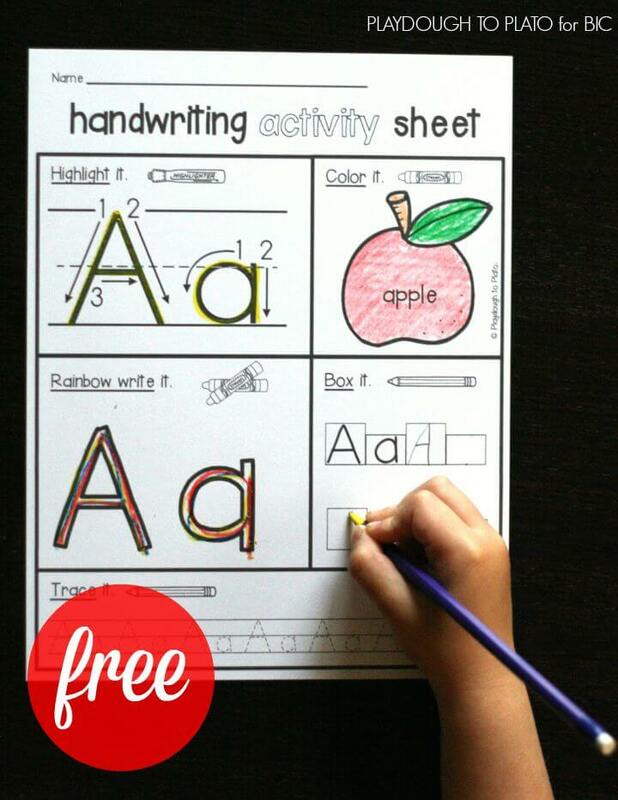 Click the button below to grab your free download and then hop over and snag our free handwriting activity sheets too! Thank you so much for these resources! 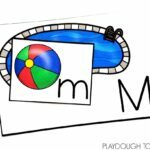 I am a brand new kindergarten teacher and I downloaded and printed many of your free resources. What a blessing to find so many awesome games all in one place! Happy planning for your class. If there is anything, I can help you find, please let me know. Thank you for these game sheets. 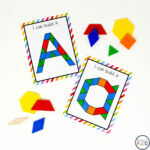 Working in a special education classroom, I’m always looking for many different ways to work on the alphabet.